Last week the Salt Lake Tribune reported on a recent shake up among members of the Fundamentalist Church of Jesus Christ of Latter-Day Saints. 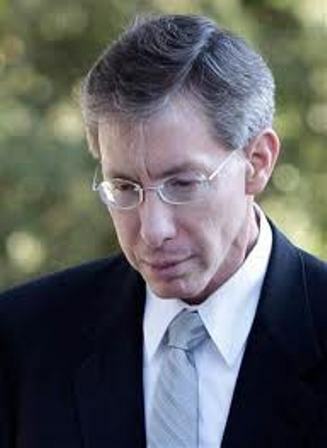 Observers say an unprecedented number — up to 1,500 members — of the polygamous sect led by Warren Jeffs were barred from the group’s church after being told over the weekend they were “unworthy” to attend. “It wasn’t any kind of doom and gloom apocalyptic, it’s more[,] ‘If we’re going to earn the favor of the Lord in this upcoming year and ask that the prophet be released from the prison, signify that you’re willing to obey by coming forward and renewing your covenants with the Lord,’” he said. You can’t expect to miss them all, Help husband get a wife! Remember that your husband must Be blessed with more than thee. I am speaking to you in the name of Israel’s God and you need to be baptized and washed clean from your sins from your backslidings, from your apostacies, from your filthiness, from your lying, from your swearing, from lusts, and from every- thing that is evil before the God of Israel. As another BYU Church history professor, Paul Peterson, noted, “The problem was that while the Saints were good, they were not good enough” (Paul H. Peterson, “The Mormon Reformation of 1856-1857: The Rhetoric and the Reality,” Journal of Mormon History, Vol. 15, 65). 1. Have you shed innocent blood or assented thereto? 2. Have you committed adultery? 3. Have you betrayed your brother? 4. Have you borne false witness against your neighbor? 5. Do you get drunk? 8. Have you contracted debts without prospect of paying? 9. Have you labored faithfully for your wages? 10. Have you coveted that which belongs to another? 11. Have you taken the name of the Lord in vain? 12. Do you preside in your family as a servant of God? …questions were asked as Lyle Jeffs (or one of a handful of other interviewers) held the member’s hand to determine if they were speaking the truth. 1. Do you think only pure thoughts? 2. Are your desires in pleasures of unrighteousness? 3. Do you dwell in wickedness of evil dross of this generation? 4. Is there in your heart the seeking for Babylon? 5. Are you saying your prayers in all that you do? 6. Are you dwelling in the spirit of your calling as an emissary of God? 7. Have you received the gift of the witness of My approval in your marriage conduct? 8. Are you abiding the law of purity and righteous obedience in My Holy Law? Non-fundamentalist Mormons today generally regard Warren Jeffs and his church with contempt and/or pity. They are unaware–or fail to recognize–that the FLDS Church is not so very different from the early Mormon Church as led by Brigham Young. Warren Jeffs is, in many ways, living out a legacy he inherited from early Mormon prophets. This entry was posted in Early Mormonism, Fundamentalist Mormonism and tagged Brigham Young, Fundamentalists, Jedediah Grant, Mormon Reformation, Warren Jeffs, Worthiness. Bookmark the permalink. Seems some mormons were willing and able to Kill in the name of God. this counsel by the Word of God ( Acts 17:11 ) we see how rampant false doctrine can thrive. What a marvelous summary of the article in the last paragraph. That’s what I’d call the money quote. Mormonism has to cling to “progressivism” because the Church certainly isn’t the Church of the past. That’s why there’s an FLDS. For further reference take a look at the other denominations of Mormonism. What are there, something like seventy different sects all laying claim to being the one true church, all with their prophets and all of the others being labeled as “apostate” (by each sect)? 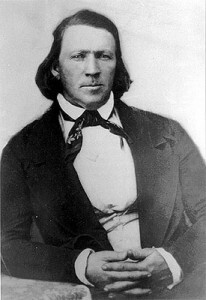 Mormons need to examine their history and the changing doctrine and also the evolution of Joseph Smith including his ever changing versions of the first vision tale. I really don’t know what modern day Mormons are really testifying to. It doesn’t take much examination to figure out that this religion was the results of Joseph Smith’s fertile imagination mixed with a heavy dose of the occult and a pinch of evangelical Christian revivalism for taste. It’s a real problem when people suppose that God is speaking and revealing something to them on the basis of what they think and feel. All religions make the same claims and all members cling to supernatural feelings and experiences. There has to be a defining revelation. One that doesn’t change with the next “prophet”. Progressive revelation is a convenient cover for erratic proclamations and faulty understanding of how God communicates with those who know Him by name and have accepted His revelation that was delivered by His Christ to His apostles. will of God ” for mankind today. 1 Jn.4:1 . Thanks again, Sharon, for not only a great article but keeping us up on what’s going on in the LDS world. I’ve always thought that FLDS were much more impressive in their refusal to compromise. Even Joseph Smith went about lying all the time to believers and outsiders alike about his polygamy teachings/practice. At least the FLDS don’t back down in practice. These list of questions, though, bring up a different topic for me. That of the sense of sin in LDS. I’ve always wondered how the LDS priesthood could possibly be effective at all if it is dependent on the righteousness of the holder. I can see someone saying that the holder can accidently sin but just can’t purposefully accept and commit sin. But where do you draw the line of “doing all you can do” and “only accidental”? Is it only boldfaced lies that are lies, not white ones, or deceit by omission or deceit by allowed misunderstanding(the hearer takes what you said in a beneficial-for-you way and you let it go without clarifying to your detriment)? Is it sinful pride only if its judgemental of others, or if you are just thankful to God that you are not “that person” or “in their situation”? This could go on and on. I’m wondering why Brigham did’nt include the dreaded cup of coffee/tea in his list of sins? largest alcohol seller etc. A lot of tithe money from Mr. Marriot ? Instead of looking at his history and the credentials given him by the Authority, you instead decide to listen to his portrayal of your condition and its remedy (maybe he sounds really good – read a lot of WebMD) and then seek a burning in your bosom to testify to you that he is real. Or a different way, what if my Church of Jesus Christ: Latter-day Saints followed the Prophet Joseph Smith and we taught that he never married anyone and taught everyone should stay unmarried to eachother but only married to Christ for the good of the Kingdom (if they could)? That he taught the Priesthood of Believers (male and female), freedom from all ordinances and laws of salvation and taught that communion and baptism were remembrances and announcements, respectively, and that if you believed (trusted with heart and mind) in Christ’s work then you&all believers would be together forever in heaven experiencing the Greatest Experience and Existence possible by living in intimacy with the One God in three Persons – Father, Son, and Holy Spirit (oh and he used the word “Trinity” just to make sure everyone understood); what then? 4) Finally, how can LDS be taken seriously in their protests of Christians denying them the label “real christian” as long as LDS deny Fundamentalist Mormons the label “real Latter-Day Saints” or “real mormons”? How can they be bewildered or offended by Christians that express concern over their (the LDS’s) salvation when their church expressly, and with certainty, teaches that former-LDS-turned-FLDS are apostates a heart beat away from becoming sons of perdition doomed to outer darkness?